Get your FREE Sample issue of Carp-Talk today! 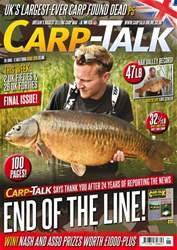 (0 Customer Reviews) | Write Review 51 issues per year Carp-Talk is the UK’s leading news magazine and only dedicated weekly in the world of carp fishing. Created and run by a team of addicted carp anglers and edited by top carp catcher Simon Crow, it has been responsible for world exclusives on all the legendary carp captures since it was launched in 1994. Don’t miss out on Carp-Talk every week. Plus, be sure to send us your catch reports and you may be in the pages of Carp-Talk very soon! Looking for Carp-Talk in print? Unfortunately pocketmags.com does not sell print copies of Carp-Talk, but all is not lost. Our partner at magazine.co.uk sells print subscriptions at the best prices online. This week’s issue of Carp-Talk (issue 1019) is available to download now! In this week’s catches, we’ve got the fantastic story of the capture of the Long Common from Spitfire Pool, which had avoided capture for nine years. We’ve also got an Elphicks sixty, a fifty from Wellington Country Park and a fifty from Fryerning Fisheries. We look back at the fourth round of qualifiers in the British Carp Angling Championships, Mark Bartlett gives us an insight into his ‘Match Mentality’, and Ian Russell recalls ‘A Session to Remember’. Laurence Smart has been enjoying his spring campaign, Jake Wildbore explains how to target carp in shallow water, and Tom ‘The Machine’ Maker explains the tactical approach he employed to tempt his first Hardwick/Smiths thirty, and what a fish it is. The 2014/15 Fox Mainline Carp Angler of the Year competition continues, and we have got £250-plus of Aqua products to give away. 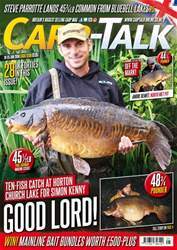 Carp-Talk is the UK’s leading news magazine and only dedicated weekly in the world of carp fishing. 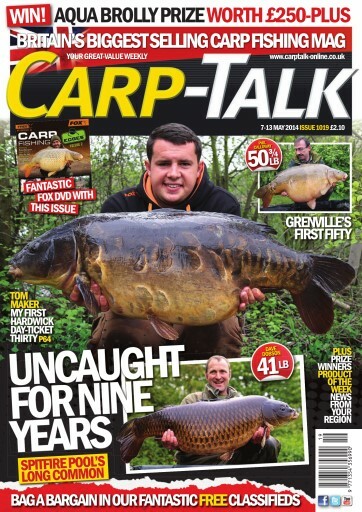 You'll receive 51 issues during a 1 year Carp-Talk magazine subscription. 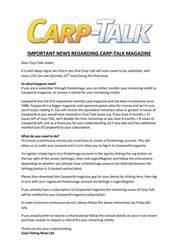 You'll receive 51 issues during a 1 year Carp-Talk magazine print subscription.